Twitter is reportedly working on a camera-first feature that will let advertisers combine location-based photos and videos with "Twitter Moments" -- curated stories about whats happening around -- to sponsor events or place ads in between tweeted posts, media reported. According to a report in CNBC on Thursday, the move is seen to rival Snap Inc. which has been popular with advertisers. "With this change, the emphasis on the platform would change from text to video and images, giving advertisers a competitor to one of Snap's most popular advertising opportunities," three senior agency executives familiar with the development were quoted as saying in the report. Snap collects location-based snaps around certain topics and displays them together as a highlighted post on its Discover tab -- a feature that has proven popular with advertisers. Twitter's feature would work in a similar way in Twitter Moments. However, it is unclear when the feature would launch and it could still be refined significantly or scrapped entirely, the report said. 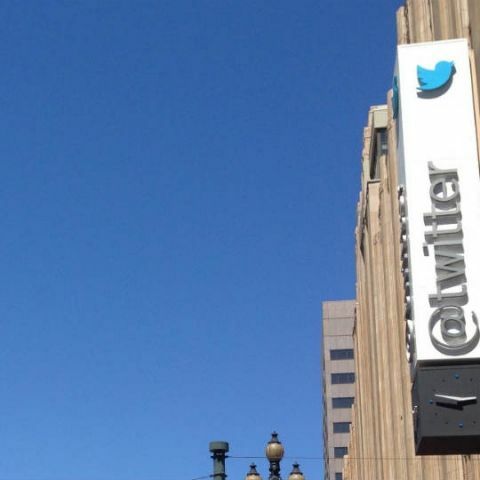 Twitter has been going after new advertising business after it posted its first profit. The company reported $87 million in data licensing and other non-advertising revenue, up 10 per cent from a year earlier. Ad revenue rose one per cent to $644 million. Twitter reported a net profit of $91.1 million, compared to a loss of $167.1 million, a year earlier.